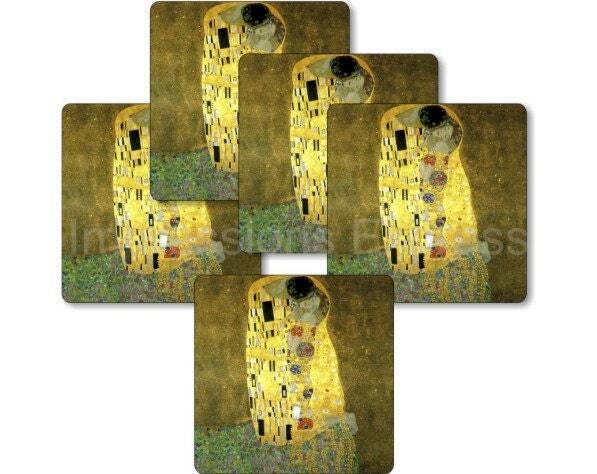 The image on the five coasters in this set is a high resolution image of Gustav Klimt's painting The Kiss (1907-08). 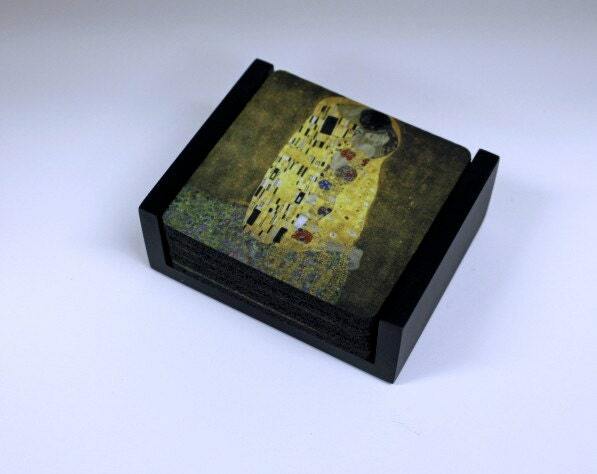 These 3.5 inch square (3.5 x 3.5) coasters are made of a durable heat-resistant polyester fabric top, backed with a neoprene rubber non-slip backing. 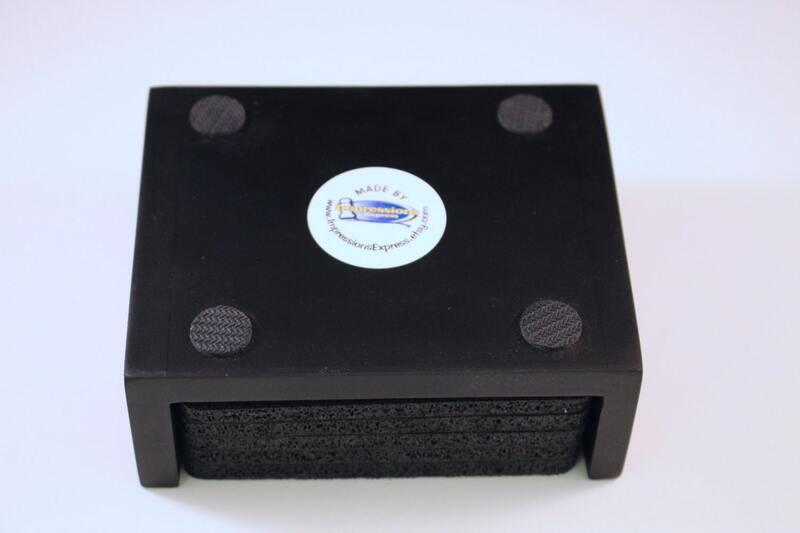 The square satin black colored wood holder included with this set provides a stylish and secure home for the coaster set. 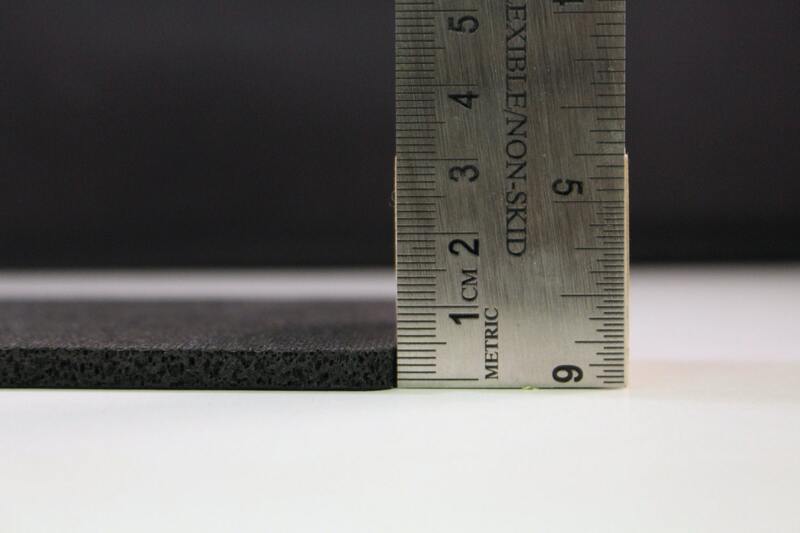 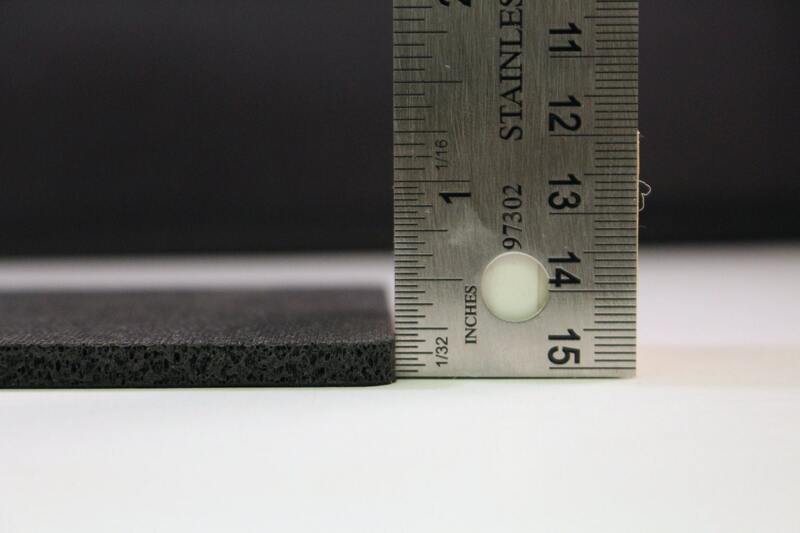 It has four non-slip foam bumpers on the underside of the holder base.